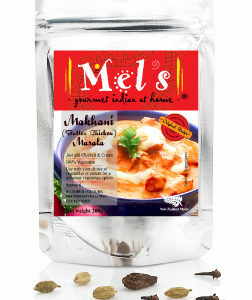 A North West frontier delicacy, traditionally used with spring lamb, this is a rich, potent spiced curry sauce. 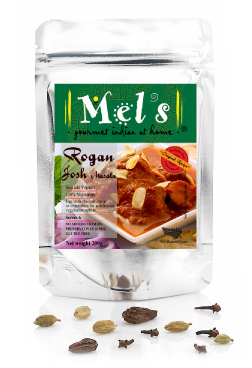 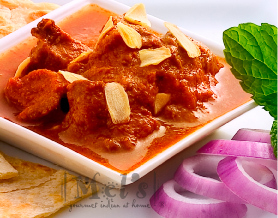 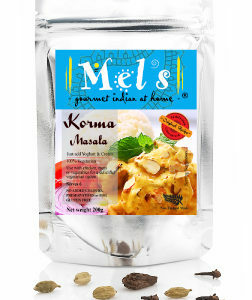 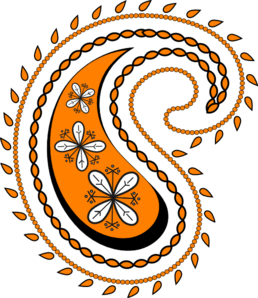 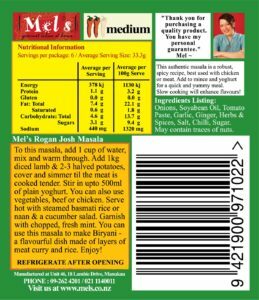 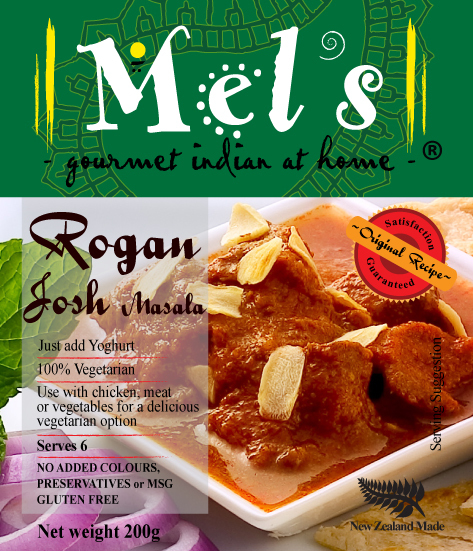 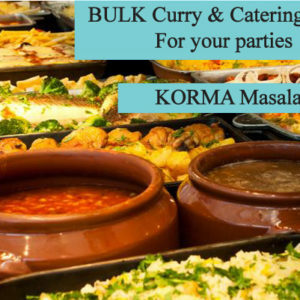 Mels Rogan Josh masala is very handy in your kitchen too as it can be made up with yoghurt for the authentic curry or you can also use coconut milk. 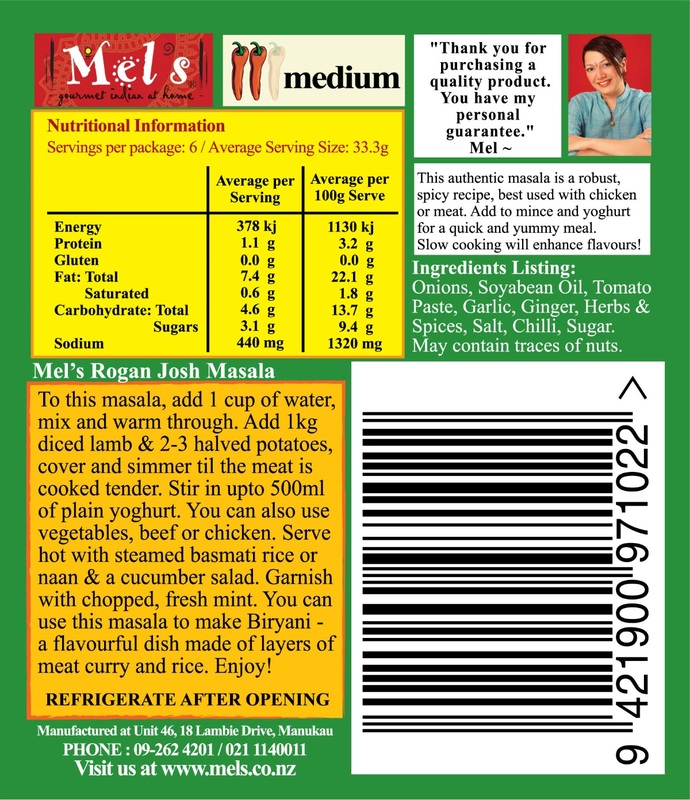 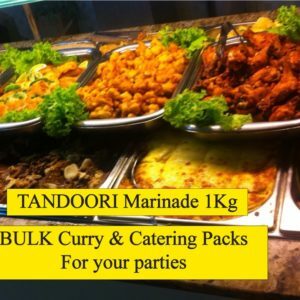 I have used Mel’s Rogan Josh Masala to make a quick and easy Biryani.